Crappies are among the most exciting fish to catch and one of the preeminent tasty fish. They prefer warm water and are so dominant during the spring and summer seasons. They swim in high shoals and found in almost all kinds of covers in most parts of the the US and Canada. We have done some research on the best crappie lures and bait that can help you to choose the best lure with ease. Knowing the type of food that crappie prefers can help you to choose appropriate lures. Crappies are flexible feeders, and they eat a variety of grubs ranging from tubes, words, insects, minnows to a small crayfish. 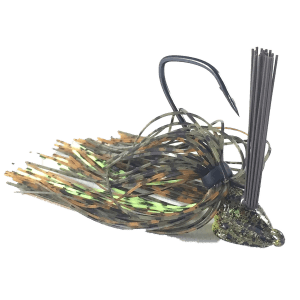 Jigs are among the favorite lures used for fishing crappies. They come in a variety of sizes, colors, and weights. In particular, BICO Original jig is the best crappie jig; because crappies prefer them the most. They attract Marabou Jigs due to hairy bodies, and their tails made of feathers. Choose any longer rods of between 8 feet and 10 feet to enable you to keep a distance and avoid scaring the fish away with the presence of your boat. If you plan on using jigs with a bobber, then it requires extra attention to detect the small movements. Because, crappies can continue to move upwards even after hitting the lure. You can also tip a jig head with a minnow, a wax worm, a plastic grub or even a tube. As an angler, it is your choice to either use the live bait or a soft plastic lure. But you should note that some choose fish go for live baits and ignore the soft plastic lures. 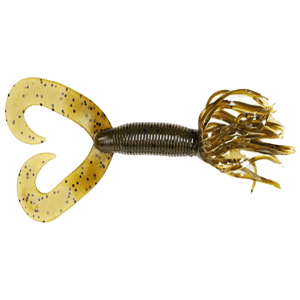 Like the jigs, grubs also come in some colors and sizes. They work by either joggled over the structure on the jig head or in the cast and retrieve method of fishing. The cast and retrieve method is best suited in instances where crappies move in shoals. Vertical joggling is well suited for situations when crappies are holding onto a brush pile or any other underwater structure. When the crappies are moving into shoals, then you can roll a grub along their channel to cajole them to strike and be caught. If you are using innovative fishing devices like fish finders and GPS, then you could locate the shoals and execute your move. Casting and retrieving through a cover is difficult, If that is the situation you can use the vertical jigging method to catch the crappies. Lures such as a grub can be utilized by both jigging method and cast and retrieve method, but other lures such as jigs can only be utilized by the jigging method. Crappies are usually fascinated by colors, thus changing the color of the lure and the size can make a difference. The appropriate size of tubes is between 1.5 inches to 2.5 inches. Tubes are made in such a way that mimic the various types of food that crappies feed on so you can use them in different situations. Some anglers argue that tubes are among the best lures for crappies because they are durable, and they can catch up to 30 crappies on a single tube. Tubes rarely get snagged and should they get snagged, unassigning them is easier than other lures. Just like the jigs and the grubs, tubes also come in different sizes and colors. Crank baits can be utilized in a cast and retrieve method, or they can be hung behind the boat. But they get snagged easily, hence are not well suited for beginners. You can also add a scent on the tube to attract the crappies. 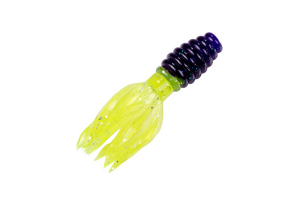 Crankbaits also come in different colors and sizes and can, thus, be used in various situations. 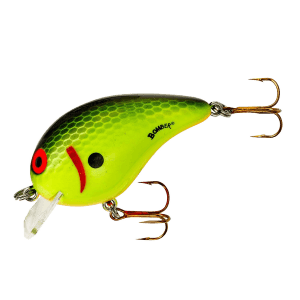 Bandit 300 series, Mann’s Tiny 1-minus and Bomber 3F Fat A are the most popular types crappie lures of this type, but there are other varieties such as Norman Lures, Cordell, Rebel, and Rapala. They work best around the edges of the covers such as brush piles, stumps, and weed beds. The secret of keeping the crappie on the crankbait until it reaches the boat is to exert a firm pressure as you whirl. Some crappies may have developed a sense of detecting artificial lures and may not be tricked by the soft plastic baits. But if you set the hook in a way that resembles the bass, then the chances of losing the fish are high. Using live bait is one of the sure ways of catching the choosy crappies. 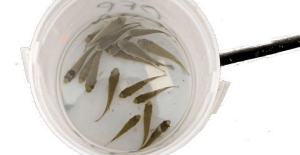 Live baits are the various types of food that crappies usually feed on. 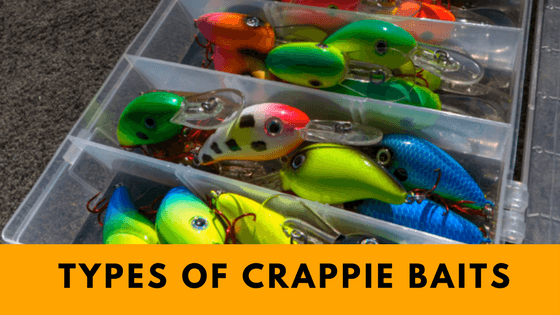 If you are planning to switch from artificial baits to live baits then you should increase your knowledge of crappie’s diet. Crappies feed on grubs such as insects, worms, minnows, fingerlings and even small crayfish. You may not need to use the scent when you use a live bet because the bait already has a natural one. Using live bait is easier than any type of bait because you only need to place it at the tip of the jig and you are ready to go. If you have developed confidence in any particular lure or bait and is just working well for you, then you don’t need to change it. But if your lure or bait stops catching fish, then you may consider changing the size or the color of the bait or adding a scent to the lures. Crappies are usually fascinated by colors to an extent that switching from one color to another can cause a difference. But, if changing the color and adding scent doesn’t yield the needed result, then you may consider changing the bait completely. You can switch from a jig to grub, or a crankbait, or a tube or even live bait. I would suggest that you switch to live bait because you’ll not have to worry about the scent or the color of the bait. If you are a new person in fishing, then the tube lures are more appropriate for you than the crank baits. Because, the tubes are very durable and rarely get snagged as opposed to crankbaits which snag easily. You need to understand that knowledge about the target fish is crucial. Consider factors such as method of fishing and characteristics of water where you fish to choose the Best Crappie lures and bait that suits your needs. I hope this review has increased your knowledge of crappie lures and baits and made your search for the best crappie lure easier. What bait do you use to catch crappie? Post your comments.